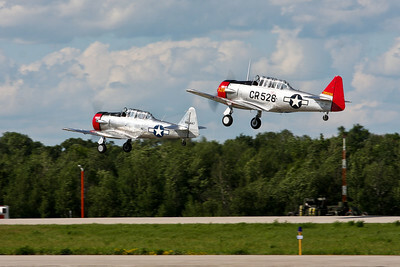 This weekend was the first ever Great Minnesota Air Show in Saint Cloud. 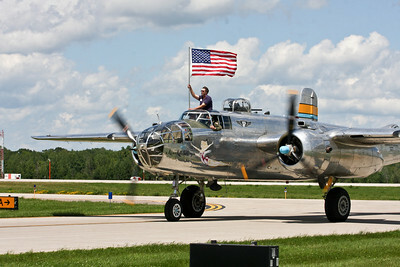 I was there with the CAF MN Wing the entire weekend, babysitting the B-25 and Red Tail Mustang, and photographing the show. 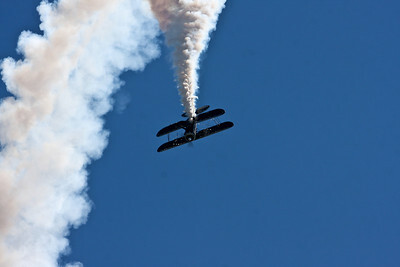 Despite heavy fog and a low ceiling Saturday morning, both days had excellent flying weather, and all the acts were great! 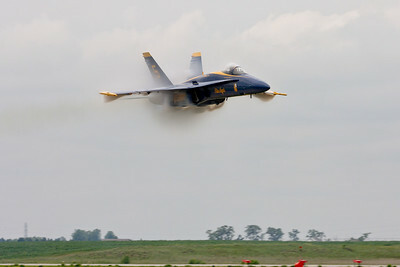 The high humidity levels saturday meant lots of cool vapor shots with the F-22 and Blue Angels, including the one below shot during the sneak pass. Pirated Skies put on an excellent show! 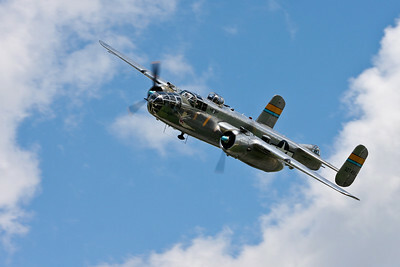 The B-25 was a huge hit, both in the air and on static display. 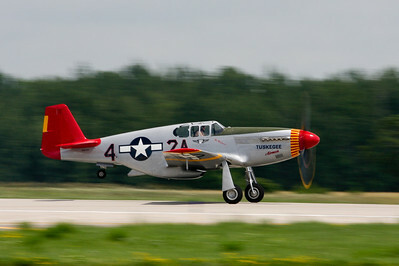 The Red Tail put on a great show as well. 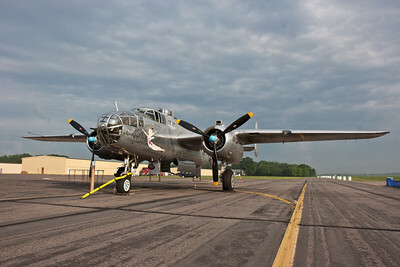 It's always a treat to see a warbird like this fly. 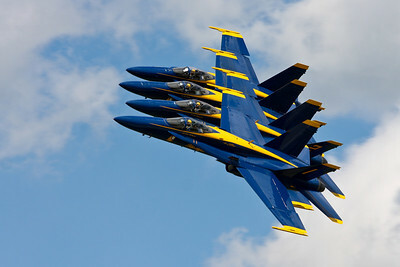 The Blue Angels were as good as I've ever seen them. 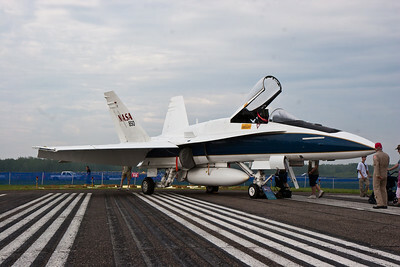 One of the highlights of the show for me was the F-22 Raptor, both it's flight demo and our up close tour courtesy of team superintendent Master Sergeant Greg Gappert. 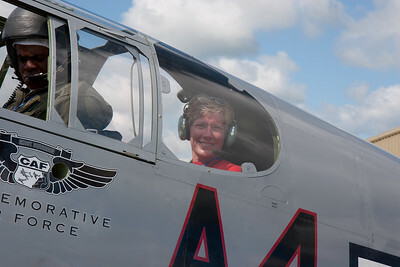 This is the lovely Denise, who took excellent care of us all weekend, was rewarded with a flight in the Red Tail! Look at the smile on her face! All in all the show was a great success! 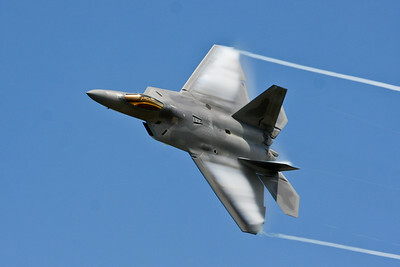 I owe a huge thanks to all the organizers, the CAF MN Wing, and the F-22 Raptor Demo team for making it that way. 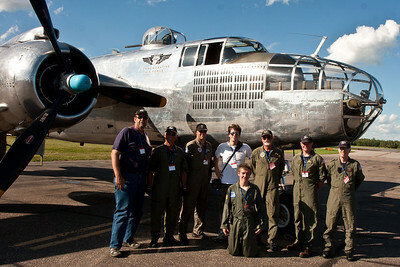 It definitely satisfied my need for speed, at least until the Duluth show in July!